HeadShotDomain.net » Forums » News » PUBG Ransomware? HeadShot Extreme :: View topic - PUBG Ransomware? Posted: Sat Apr 14, 2018 10:22 am Post subject: PUBG Ransomware? No Money here, just play the game! First off, what is "Ransomeware". Well, it's like a typical virus that most know, but instead of destroying your data, it insteads, encrypts all your data and locks you out of your computer until you pay the ransom. You may remember the WCry ransomware from last year and how malicious that one was. Well, this one is not like that one. Malware experts have confirmed to me that PUBG Ransomeware actually does lock down computers files, but it’s pretty easy to get around considering all you have to do is either play the game, or, enter the unlock code provided if you don't or can't play the game. Even playing it, you don't need to play for a full hour as it says. 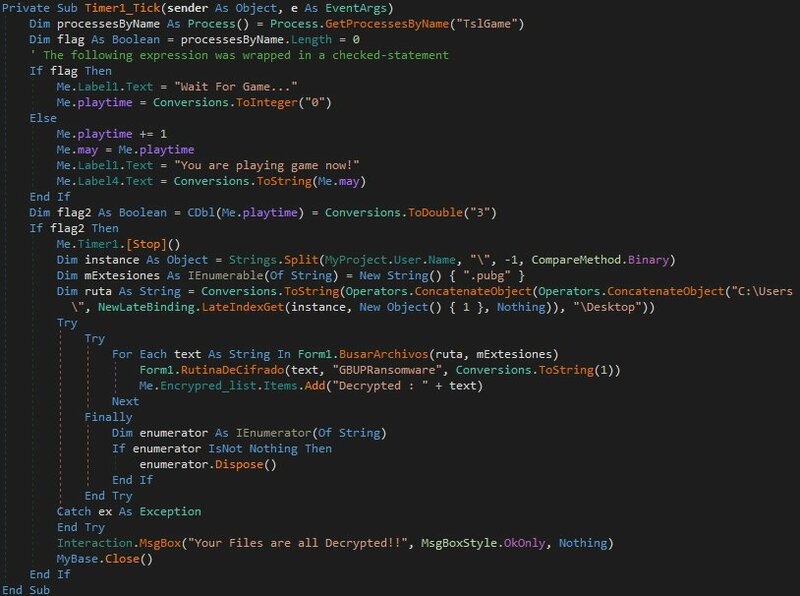 Turns out, according to Bleeping Computer, this ransomware works by scanning your computer’s running processes for the ‘TslGame’ process, which assumedly triggers whenever you launch the PUBG app. However, the same outlet also discovered that you really only need to run the PUBG app for a few seconds and not actually a full hour like it asks you too. I honestly think, if I ever was to get any type of virus or ransomeware, I think I would like this one. Think of the potential of this being an escape from doing work at the office, or around the house. (Sorry hun, I can't clean the gutters right now, I have to play PUBG to get our computer back). Could be a great way to get out of going to the in-laws as well. Overall, even though this is funny and something that I think is clever, the danger is still there, as there could be malicious intent built into it deeper then as been dug into thus far and I highly recommend people not purposely going out and trying to find this on their own. This script as far as I have read into it, does not contain any malicious stuff into it, but, that does not mean its not there. I do want to point that out. Bluehole and PlayerUnKnown have nothing to do with this ransomware, this is just done by someone that likes to play PUBG. My final thoughts on this is, this would have been even better to have been released a couple of weeks ago, for this seems for fitting to have been a "April Fools" joke, but, on a serious note, anything that gets put on your computer without your consent, I do not agree with. But I have to give it to the creator of thinking outside the box and not being a total douchebag about it. I am sure that this made many chuckle a little, I know I did. Posted: Fri Apr 20, 2018 2:40 pm Post subject: Re: PUBG Ransomware? 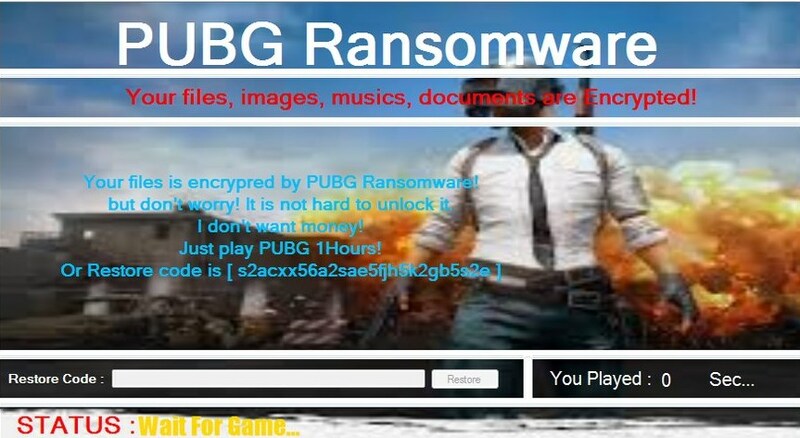 Posted: Fri Apr 20, 2018 7:15 pm Post subject: Re: PUBG Ransomware?